Photo by LaDawna Howard, used under CC BY 2.0. March 24, 2017 marked seven years and one day since the signing of the Affordable Care Act (“Obamacare”) into law on March 23, 2010. On that seventh anniversary, House Speaker Paul Ryan abandoned the Republican plan to repeal and replace Obamacare because of a shortage of Yes votes. Whereas this was a great victory for those of us who believe that health care is a right, the fate of Obamacare is not yet settled. Because of rising costs to patients, Obamacare could collapse under its own weight. In the short run, we need to take action to reduce patients’ health care costs; in the long run, only a single payer system can fix Obamacare. The now-defunct Republican plan to repeal and replace Obamacare targeted both portions of the Obamacare law: 1) the individual mandate, which requires people without insurance to purchase insurance—assisted by a federal subsidy—or pay a penalty; and 2) the expansion of Medicaid. First, the Ryan plan eliminated the requirement that people without insurance sign up for individual health insurance offered through federal or state-based insurance exchanges. This requirement was needed to encourage young, healthy people to purchase health insurance because they subsidize insurance for older people and people in poor health. In place of the requirement to purchase health insurance, the proposed legislation provided tax credits to help people afford health insurance. However, the tax credits were small compared with the subsidies provided under Obamacare, meaning that many people would be unable to afford health insurance. Lower-income middle-aged people would have their insurance premiums increase from $1,700 under Obamacare to $14,600 under Ryan’s plan. Insurers would be able to increase patient out-of-pocket costs (deductibles and copayments) beyond the levels allowed under Obamacare. Savings from reductions in health care costs under the Ryan plan would largely go to tax cuts for the very wealthy. Second, Ryan’s plan would have eliminated Obamacare’s expansion of Medicaid that insured 10 million new people. With the attack on both the individual mandate and the Medicaid expansion, the Congressional Budget Office estimated that 24 million people would lose their insurance under Ryan’s legislation. 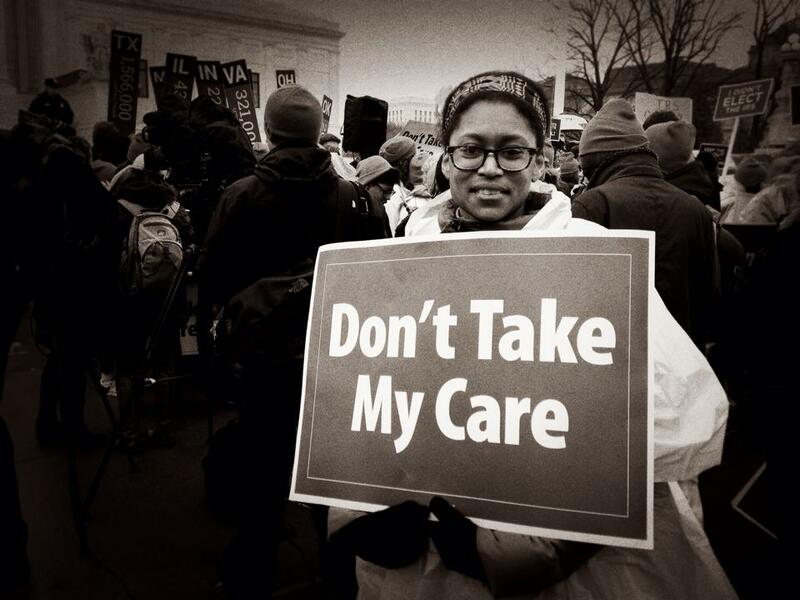 Now that Obamacare will continue to be the law of the land, what are its future prospects? The individual mandate is under the control of insurance companies; they can choose to participate or not, and they can raise their premiums if they are not making profits. Three of the largest insurers are pulling out of Obamacare in a number of states, leaving people fewer choices. The 2017 premiums are up an average of 22%, more in some states and less in others. From 2015 to 2017, the percent of insured Americans having trouble affording their health insurance premiums (even with the Obamacare subsidies) rose from 27% to 37%. The percent finding it difficult to afford copays for doctor visits and prescriptions has risen from 24% to 31%, and 43% of insured persons, up from 34%, have trouble paying the deductible. If costs to patients continue to rise, more and more people may opt to pay the penalty rather than purchase health insurance. If many young healthy people decide not to continue their Obamacare coverage, it could have disastrous consequences. Here’s why: Older adults pay premiums that do not fully cover their medical expenses, while younger adults pay premiums that more than cover their expenses. For the system to work, young people need to enroll in sufficient numbers to produce a surplus in premium revenues that can be used to cross-subsidize the deficit created by older people. If many younger people do not renew their insurance coverage in late 2017, premiums will again rise rapidly and more people will be unable to afford health care. While the Congressional Budget Office does not think this will happen—it could. The Medicaid expansion portion of Obamacare is highly successful. In the 32 states that expanded Medicaid, everyone below 133% of the federal poverty line receives insurance—in most states with minimal out-of-pocket costs. However, a number of states, for example Indiana when Mike Pence was governor, started to charge premiums and copayments to people who have very little money. If they do not pay, they are kicked off Medicaid. The Republican Congress is likely to introduce new legislation, specific to the Medicaid portion of Obamacare, that severely limits the amount of Medicaid funds available to states for their Medicaid programs (so-called block grants or fixed sums per Medicaid enrollee). Such legislation would cause states to cut benefits to Medicaid enrollees and/or burden them with out-of-pocket costs that they cannot afford. Whether or not the attack on Medicaid will pass the Senate depends on whether Republican governors, who would lose federal money from the Medicaid block grants, put pressure on their Republican senators to vote No. If all Democrats oppose this legislation, it takes only three Republican senators to join them in voting No to defeat these cutbacks. Over the past few weeks, thousands of people made their voices heard: Do not repeal Obamacare. But those voices could turn against Obamacare if costs continue to climb. Democrats need to introduce legislation to reduce the premiums, copayments, and deductibles under Obamacare. It won’t be easy given the realities of the insurance market. What are the options? 1) Increase the subsidies to reduce premium costs, making it more affordable for young healthy people to enter the insurance market. 2) Add a public option insurer that offers lower premiums, copayments, and deductibles than private, for-profit insurers. 3) Join Bernie Sanders and push for a single-payer system that eliminates the insurance industry from health care and provides excellent coverage for all Americans, financed by a progressive tax. None of these options are likely in a Republican-controlled federal government. But states could enact legislation—ideally instituting a single-payer system—to address Obamacare’s shortcomings. Without confronting the growing costs of health insurance and health care, the future of Obamacare is uncertain. *Tom Bodenheimer is a primary care physician who practiced in San Francisco’s Mission District for 32 years. He is currently Professor Emeritus of Family and Community Medicine at University of California, San Francisco.